Turn your digital snapshot into a perfect postcard! 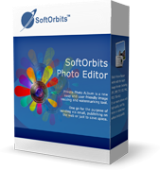 SoftOrbits Photo Editor Pro 4.0 was available as a giveaway on May 10, 2018! 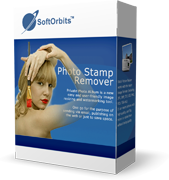 Turn your digital snapshot into a perfect postcard! Be it a passer-by, a hanging wire or just an unwanted shadow, you can make your picture free of distracting objects with ease. Remove unwanted objects in just a click! Simple Photo Editor will help you selecting the whole object and re-create what’s beneath it, producing a clean, perfect postcard free of blemishes and distractions. Good ol' SoftOrbits! Installation was smooth with Win10 Home x64. No warning from Antivirus software at all. Thank you Soft Orbit for your free Giveaway. Had to download it 3 times.... and then to many hurdles till it worked, but will give it a try. Make it easier next time. D not know why people have problems installing. Followed link for free key, added email address and Name and he presto and there was the serial number. Cut and pasted it in and activated immediately. Have not had time to check program for functionality other than it runs and I can import a picture. Are these errors going to be corrected? Can't get activation link. Are these errors going to be corrected? Am I the only one that the Giveaway sight is not producing a download from Google or Firefox?? Wont download. Even disabled my virus checker....still no download. Easy activation, fast setup. Have to say though that although any "free" software is great, I was not too impressed with this one. All the basic photo tools are there, but you can find the same in any free photo editor. Sorry, not impressed. Thank you though GOTD for the free software! John Davidson, Activation now works. Z More, It takes more time to stop and think "I must remember to use u for you, 4 for for, etc. or else risk peer disapproval," than to just do it normally. Installed easy enough but I couldn't activate. Got and pasted the KEY from clipboard. Error message asking if I'd like to purchase it. Uh...... NO! I'd like to try it first. Ok Windows 10 x64 Pro. Installed to D: internal w/ key. Process clean & simple. Did note readme said to NOT rename the installation file or it's a no go. Simple program w/ drag & drop feature. Just a backup app for me since will usually default to one of the big name programs that have the major features attached to them. Thanks. Hi there. Strange.I am trying to instal that SW. When I got to the screen Get The Free Activation Code nothing happens. What am I doing wrong, please? Thank you for the offer GOTD and no disrespect to SoftOrbits, but with all that is going on in the world regarding security, privacy, etc., I am reluctant to install anything from a Russian company on my PC. Especially when, as with most software here, I am forced to disable my antivirus to install it! Again, not bad-mouthing the company, just being cautious. Mostly the same functionality as IRFANVIEW, not enuf functionality for me. Mostly the same functionality as IRFANVIEW, not enuf functionality for me. YMMV. I like SoftOrbits software so decided to give this one a go but am having trouble installing it..
"WinHttp.WinHttpRequest: The operation timed out." This fails repeatedly. I tried downloading the package again but still get the same error. I'm trying to install in China, thought maybe the site it's trying to access for the activation key is blocked so have tried while connected using VPNs to other countries but still fails. 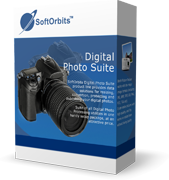 I like SoftOrbits software so decided to give this one a go but am having trouble installing it.. When running the .exe it asks me for the installation language, I select English and then after about 30s, it fails with: "Runtime Error (at 21:411):" "WinHttp.WinHttpRequest: The operation timed out." This fails repeatedly. I tried downloading the package again but still get the same error. I'm trying to install in China, thought maybe the site it's trying to access for the activation key is blocked so have tried while connected using VPNs to other countries but still fails. Any ideas how to resolve this ? why have to log in with face book account? craig, Thank goodness, you DON'T. Very straightforward download/activation/installation process! Had it installed in 90 seconds! Thank you for doing away with the back and forth with having to email license key. A welcome change for GOTD. Let's make all offers as simple as this. Pro? Well it's not bad. When I saw the name "Photo Editor Pro 4.0", I guess I was expecting a photo editor rather than a object remover. While it does have crop, resize, and text options, so do most free photo apps. As far as the object removal aspect, it does better than most free programs, but for the money they ask for it, I can find a lot more, and fuller featured alternatives for less. ekertin, Thank you for actually commenting on the program itself and not the installation process. Laura, Price: The program is available for $79.99, but it will be free for our visitors as a time-limited offer. SoftOrbits programs have been notorious in the past for deactivating previous giveaways (and sometimes bought programs) when installed: see e.g. https://www.giveawayoftheday.com/soft-orbits-photo-retoucher-4-1/. It has certainly happened to me, so before completing the installation it would be useful to know whether this still applies. On the other hand, the program does appear to install on XP, although not officially supported. SoftOrbits programs have been notorious in the past for deactivating previous giveaways (and sometimes bought programs) when installed: see e.g. https://www.giveawayoftheday.com/soft-orbits-photo-retoucher-4-1/. It has certainly happened to me, so before completing the installation it would be useful to know whether this still applies. On the other hand, the program does appear to install on XP, although not officially supported. Link with the name of the "free" software is actually a link to a program called "Free Download Manager." Questionable to say the least. NOT INTERESTED IN REDIRECTS. Kim G., You could try clicking on the actual download instead of the one for an ad. You know, the button that says "Download Now SoftOrbits Photo Editor Pro 4.0" Right next to the countdown counter …………. The Free Download button is for the clearly stated and marked as an advertisement and in large font too , Free Download Manager. Kim G., You could try clicking on the actual download instead of the one for an ad. You know, the button that says "Download Now SoftOrbits Photo Editor Pro 4.0" Right next to the countdown counter …………. The Free Download button is for the clearly stated and marked as an advertisement and in large font too , Free Download Manager. Kim G., Keep looking, you'll find the link in the usual spot. mahurin, There is no activation code in the read me file..as in most SoftOrbits programs, it asks you to fill in their form before install, and it will send you the code. Did you actually read the contents in the 'readme.txt' file? mahurin, Did you actually read the contents in the 'readme.txt' file? Forgot to mention, what are you using to open the zip file because mine opened fine. 2. Use WinRAR program and associate zip extentions in the options. I think, by default, it's already to open zip files. mahurin, Forgot to mention, what are you using to open the zip file because mine opened fine. Suggestion to open zip file 1. Use the free 7-zip program 2. Use WinRAR program and associate zip extentions in the options. I think, by default, it's already to open zip files. Robert, I just use the default Win 10 zip extension..after the file downloads, open it and hit "extract all"
For free, it's OK. But for $80 it's much too expensive. You can get Affinity Photo (an excellent "Photoshop clone") for $50, and it includes already several tools to remove unwanted objects from an image. However, when you need such a utility -- which can be very useful -- and you don't have InPaint, this is definitely worth having! M. H., I agree -- it is effective, but definitely seems slower than InPaint.... However, when you need such a utility -- which can be very useful -- and you don't have InPaint, this is definitely worth having! I would point out that, contrary to some indication given elsewhere here, you can't just enter "any ole" email address, and expect to get a licence number -- that didn't work for me. (I just wanted to see if it was true!) So I put in my legit email address, and yes, THEN it opened up and revealed -- a licence number.... Thanks, SoftOrbits! M. H.,.... remove unwanted objects from an image.....MS Paint can also camouflage objects with copy and paste. On "Activate" click "get free key - here they ask for your name and email. When submit, activation key is generated on the same page online, not through mail. Click "Get the free Activation Key" button and fill in the form to get your activation key. Use the provided activation key to complete the installation." Click download Open "read me" file (instructions) Run "Setup" On "Activate" click "get free key - here they ask for your name and email. When submit, activation key is generated on the same page online, not through mail. "Unzip the package you`ve downloaded to a separate folder and run PhotoEditor_Setup_pt1.exe Click "Get the free Activation Key" button and fill in the form to get your activation key. Use the provided activation key to complete the installation." 10 minutes after requesting registration key nothing showed in my gmail inbox nor as junk folder. Tried using outlook email = nothing!